The study of twins and the genetics of aggression totally consumes research scientist Jeannie Ferrami. An accomplished and headstrong researcher, Jeannie has developed a sophisticated software program to identify identical twins reared apart. But Jeannie's breakthrough project is threatened by the appearance of a sudden impossibility - identical twins born weeks apart to different mothers at separate locations. The High Seas - where the Mossad, KGB, Egyptians, and Fedayeen terrorists play out the final violent, bloody moves in a devastating game where the price of failure is nuclear holocaust. A man wakes to find himself lying on the ground in a railway station. He does not remember how he got there. He has forgotten where he lives. He cannot even remember his own name. Ellis, the American. Jean-Pierre, the Frenchman.... They were two men on opposite sides of the cold war, with a woman torn between them. Together, they formed a triangle of passion and deception, racing from terrorist bombs in Paris to the violence and intrigue of Afghanistan - and on to the moment of truth and a deadly decision for all of them. On a bright September morning in 1939, two days after Britain declares war on Germany, a group of privileged but desperate people gather in Southhampton to board the largest, most luxurious airliner ever built - the Pan American Clipper - bound for New York. 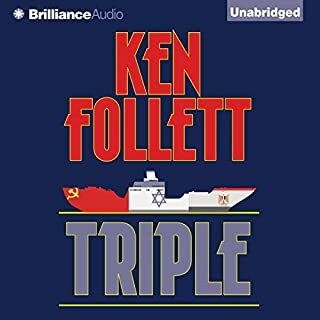 Like no other suspense author in his genre, Follett reinvents the thriller with each new storyline. But nothing matches the intricate, knife-edge drama of Whiteout. When two of his American employees were held hostage in a heavily guarded prison fortress in Iran, one man took matters into his own hands: American businessman H. Ross Perot. His team consisted of a group of volunteers from the executive ranks of his corporation, hand-picked and trained by a retired Green Beret officer. To free the imprisoned Americans, they would face incalculable odds on a mission that only true heroes would have dared. It's June 1941, and the low point of the war. England throws wave after wave of RAF bombers across the Channel, but somehow the Luftwaffe is able to shoot them down at will. The skies, indeed, the war itself seem to belong to Hitler. D-Day is approaching. They don't know where or when, but the Germans know it'll be soon, and for Felicity "Flick" Clariet, the stakes have never been higher. A senior agent in the ranks of the Special Operations Executive (SOE) responsible for sabotage, Flick has survived to become one of Britain's most effective operatives in Northern France. This lush novel, set in 1766 England and America, evokes an era ripe with riot and revolution, from the teeming streets of London to the sprawling grounds of a Virginia plantation. Mack McAsh burns with the desire to escape his life of slavery in Scottish coal mines while Lizzie Hallim is desperate to shed a life of sheltered subjugation to her spineless husband. United in America, their only chance for freedom lies beyond the Western frontier - if they're brave enough to take it. WORTH THE CREDIT AND THEM SOME! One enemy spy knows the secret of the Allies' greatest deception, a brilliant aristocrat and ruthless assassin - code name: "The Needle" - who holds the key to the ultimate Nazi victory. In this high-stakes caper set in the art world, anything goes. First, a young art student follows the trail of an undiscovered masterpiece by painter Modigliani. Then, 2 disgruntled artists plot to expose the hypocrisy of the art world. Finally, there is the ambitious owner of a new gallery, who will stop at nothing to assure the success of his enterprise. Ken Follett's World Without End was a global phenomenon, a work of grand historical sweep beloved by millions of readers and acclaimed by critics. Fall of Giants is his magnificent new historical epic. The first novel in The Century Trilogy, it follows the fates of five interrelated families - American, German, Russian, English, and Welsh - as they move through the world-shaking dramas of the First World War, the Russian Revolution, and the struggle for women's suffrage. The FBI doesn't believe it. The governor wants the problem to disappear. But Agent Judy Maddox knows the threat is real: an extreme group of ecoterrorists has the means and the know-how to set off a massive earthquake of epic proportions. For California, time is running out. Now Maddox is scrambling to hunt down a petty criminal turned cult leader turned homicidal mastermind. Because she knows that the dying has already begun. And things will only get worse when the earth violently shifts, bolts, and shakes down to its very core. 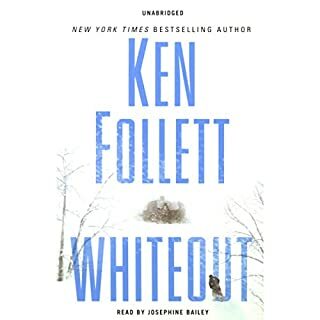 Would you try another book from Ken Follett and/or January LaVoy? I purchased as I enjoy Ms LaVoy’s performances, and I get author’s and stories I may not have gotten otherwise. I took a chance on this one, and well I have 6 hrs to go, and it still has NOT gotten to the point where I can’t stop listening. In fact I have 2 other stories I am re listening to as this one just isn’t cutting it. 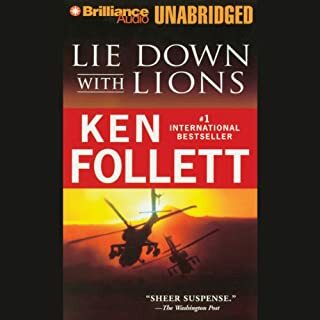 If you’ve listened to books by Ken Follett before, how does this one compare? Of course The Eye of The Needle, is one of the stories that made author famous, and its obvious author wants to expland his writing talent by this story. 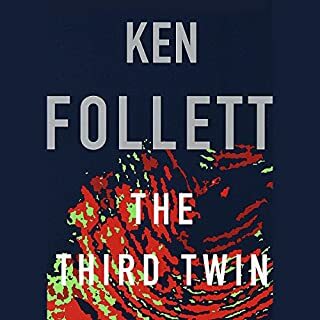 I did enjoy the Third Twin, enough to take a chance on this story. A mistake for me, as you must enjoy the journey of naive behavior that is bombarded with advanced technology to appreciate this story. If you like the publisher summary, then the performance is great. What about January LaVoy’s performance did you like? Ms LaVoy can sing a cappella, wow! Was The Hammer of Eden worth the listening time? 13 hrs is a long book, and the story has not engaged me at hr 6, so unless it picks up in the next 30 mins, absolutely not. I do use the 1.25x speed as it helps in slow stories or to convey the author’s intent. Were my comments of any help to you? No. They plot was unbelievable and silly. What aspect of January LaVoy’s performance would you have changed? 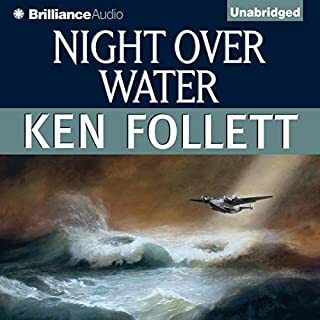 This is the weakest Follett I have read/listened to, and I have read/listened to over 10.
this was a suspense filled delightful story. however it was almost nothing like any Follett book I have read in the past to the degree that I would not have thought he wrote it. Before reading The Hammer of Eden and The Third Twin, I was a huge Follett Fan. I just prefer his historical fiction novels. I cannot say Hammer is unreadable but just not my cup of tea. Same goes for Third Twin. I'll continue reading Follett, just not recommending this one. Have you listened to any of January LaVoy’s other performances before? How does this one compare? 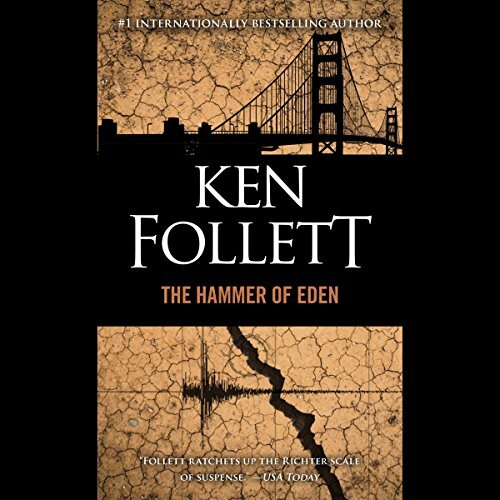 Do you think The Hammer of Eden needs a follow-up book? Why or why not? I am so surprised that a Welsh author would be able to catch the character of both San Francisco and Sacramento. Down to the staircase between the restored potion of the Capitol and the Annex. Amazing research. 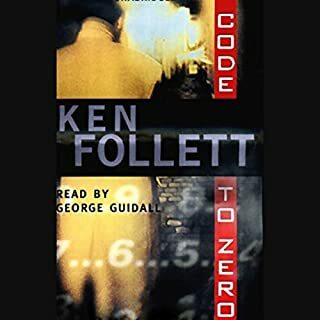 Ken Follet is one of the most talented and prolific authors of our generation. He is a superb writer who thoroughly research’s his subjects. His books are very entertaining, and, also, educational. I greatly appreciate his work. January Lavoy was an excellent choice for this book.